Have you always wanted a lake house or a second home? Lake Lanier is located in Northeast Georgia and is a great option. Buying a home on the lake is not like buying a traditional home. There are several factors that come into play and you need to make sure you are using a Realtor who is familiar with lake properties and surrounding areas. I have been working with the Peters Company for several months now and happy to offer my specialty to our clients in Northeast Georgia. I grew up near Lake Lanier and going to Holiday Marina. For the past several years, I lived in a community by the lake. I understand the ‘lake-life’ and what is important to look for when considering buying a home. -If you have a boat, you need to make sure your dock offers deep water. If the home does not have a dock, you need to make sure you are looking at nearby marinas to make sure boat access is as easy as possible. -You need to understand the Corps of Engineers rules and regulations. 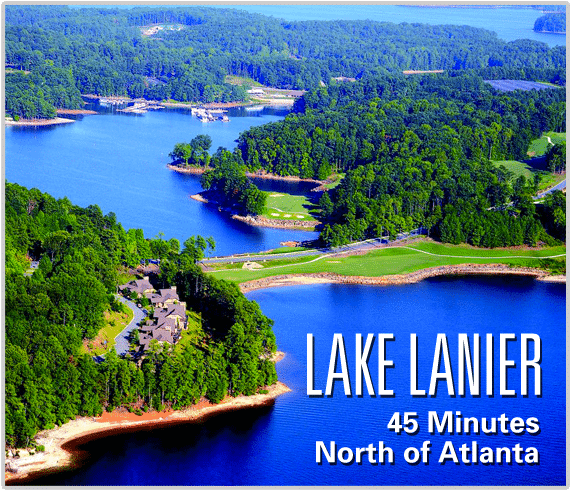 If you are considering buying a home on Lake Lanier, I am happy to help answer any of your questions. Please keep the Peters Company in mind if you or anyone you know is considering a move to the Northeast Georgia. ← Come Visit Our Six Open Houses Sunday!